A make or break year for a baseball player isn’t always one that sees them going into free agency. It’s also one that changes perceptions placed on a player after a couple of inconsistent or down years. In the case of some on this list (Harper), it’s a case of not yet seeing what he can do over a full season. Others (Elvis Andrus) need to start reversing the trends in order to remain in the conversation among the industry. These five players are facing that make or break year. Bryce Harper, Washington Nationals- I know, I know everyone will look at his age (22) and track record (two-time All-Star, 2012 Rookie of the Year) and think “what are you talking about?” Look, I could dedicate a whole piece to Harper outlining my likes and dislikes but the bottom line is this: his act among the players is wearing thin. 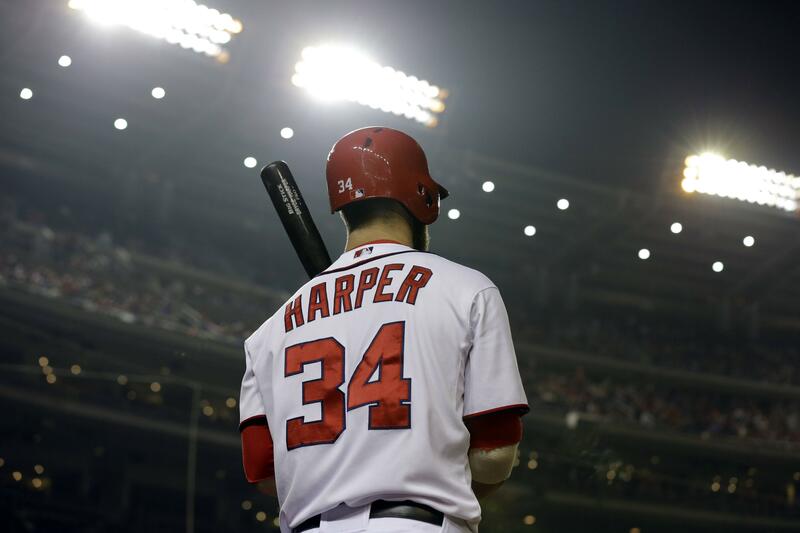 Between the contract disputes and his regular appearances on the disabled list it’s led some in the league to label Harper overrated for the second year in a row. Keep in mind he’s only been in the league three seasons. It’s time for Harper to put it all together and show the sport he’s worth the extensions given other young stars the last few years. Availability will be as critical as his ability, but what has really worked against Harper is what is actually expected of him. Do I see 40+ homer runs from Harper? No, but I also know that for all the expectations placed on him the solid production he’s put up thus far isn’t going to cut it. Jason Heyward, St. Louis Cardinals- Someone asked me once “Who is Jason Heyward in a 162-game season?” Five seasons later and I still don’t know. I like Jason Heyward because when I played baseball he does a lot of things I would have emulated on the field. He’s hit 27 home runs, he’s been the best defender in baseball at his position, and he’s made an All-Star team as a teenager. Yet, five years later, we still don’t know what Jason Heyward is over the course of a 162-game season. That’s because he’s accomplished all of those things across multiple parts of his first five years. He, too, has issues staying healthy and while it could be debated his lineup usage in Atlanta wasn’t ideal, that doesn’t change the fact his power numbers aren’t there consistently. So who is Jason Heyward? Well, after five years and free agency staring him in the face this offseason he would be wise to let us all know. 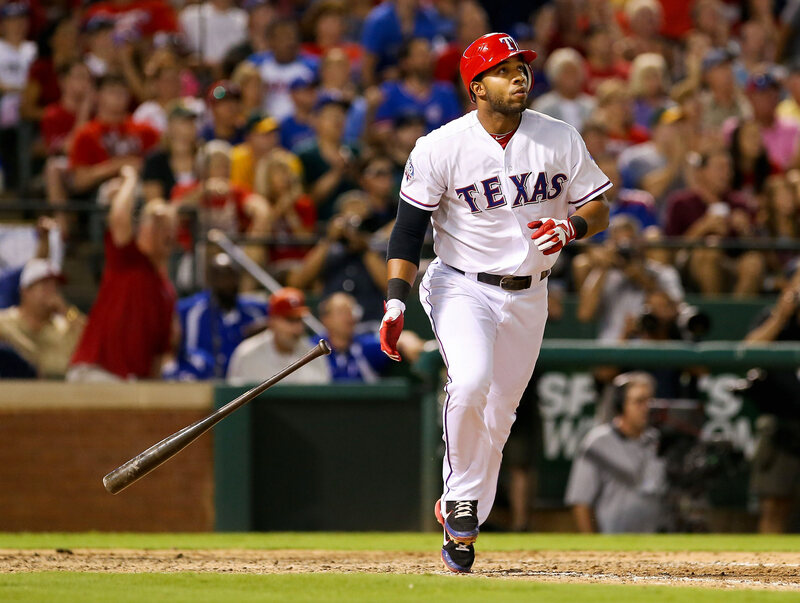 Elvis Andrus, Texas Rangers- The excitement around Andrus after All-Star appearances in 2010 and 2012 was huge. So huge the Rangers gave Andrus an 8-year, $118 million dollar extension at the start of the 2013 season. Two years later and we’ve already heard trade whispers for Andrus, who seen his on-base percentage, batting average, slugging percentage, and OPS all decline since. Couple that with a rising strikeout rate and declining walk rate and the Rangers are starting to feel buyers remorse even quicker (his defensive metrics don’t look any prettier, either). Andrus, for his part, still has youth (he’s only 26) on his side so a lot of these issues could be attributed to the talent decline around him. 2015 will need to see a return to form for him or risk being shipped out of Arlington and seen as a cautionary tale of investing too soon. Elvis Andrus averages between 2010 and 2012 (.277 BA, .346 OBP, OPS+85) have seen a decline between 2013-2014 (.267 BA, .321 OBP, 83 OPS+) in the categories that matter for an elite leadoff man and Shortstop. Can he reverse those trends in 2015? Mike Moustakas, Kansas City Royals- How long has it been since Moustakas was a top-10 prospect in all of baseball? That was “way” back in 2011. What has he given us since? Declining numbers across the board since his debut. Even his “breakthrough” postseason last year saw him go from a .333 average in the Wild Card game to .217 in the World Series. Everyone on this list has had a modicum of sustained success that warranted their inclusion among the games elite. Moustakas hasn’t, which makes him a guy who 2015 might be the most important of all. He’s teased us all in Spring Training before, but as he approaches 2,000 career at-bats it is time for him to change our perception or risk being on the wrong side of the “this is who he is” label. Dustin Ackley, Seattle Mariners- Ackley has always been an interesting case because his talent, when flashed, is immense enough to consider him a solid everyday player in the big leagues. Last season he set career highs in home runs, RBI’s, total bases, and extra-base hits; but for a guy who was touted for his averages while playing for the University of North Carolina-Chapel Hill those don’t seem to be catching up. Last season he was moved to left field, something that seemed to benefit him as he could focus his attention on hitting. This season Ackley, who turned 26 in February, will be needed to put it all together for the Mariners who are expected to contend for the division crown this season. Like Moustakas, though, he is nearing 2,000 at-bats, and 2015 will determine what to expect from him going forward.